Upright vacuum that holds more pet hairs, dirt and dust. Equipped with suction power to pick up stobborn messes. Has Bottom-Release Dirt Cup that allows the user to empty the canister with ease. Rank: #32 out of 578. Hoover Windtunnel 2 is a very popular option in the middle of the vacuum cleaners price range. 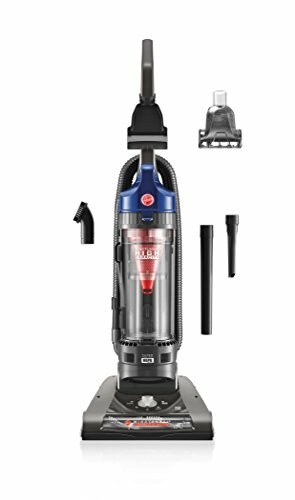 It's in the top 3 bestselling vacuum cleaners and has dozens of popular alternatives in the same price range, such as Shop-vac 5872510 or Hoover React Pro Pet Plus . Hoover Windtunnel 2 is $21.83 less expensive than an average vacuum cleaner ($149.95).